When a famous Federation scientist dies, his son puts his inventions up for sale to the highest bidder - whether Federation, Klingon, Romulan or Cardassian. Among the items at auction are medical devices, engineering advances - and a photon pulse cannon capable of punching through a starship's shields with a single shot. Meanwhile, at the Academy, Wesley Crusher comes to the aid of his best friend - and finds himself kidnapped by renegade Ferengi bent on controlling the universe through commerce. 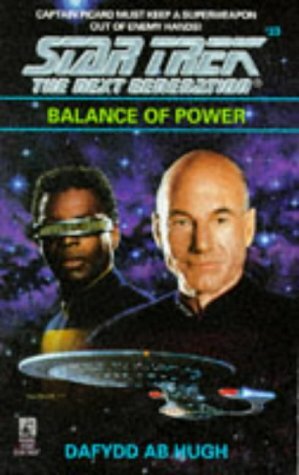 When they also set their sights on the photon cannon, Captain Picard must find a way to save the Starship Enterprise and the Federation from the deadliest weapon ever known - with every race in the galaxy aligned against him!